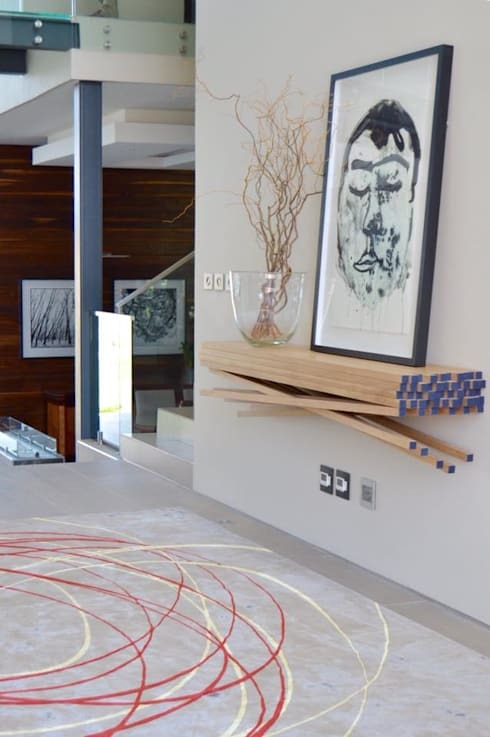 Today on homify 360°, we get grand and lavish by having a look at a residential house located in Steyn City - yes, the Steyn City Parkland Residence that’s located in Sandton, comprises 2,000 acres of land and is gearing up to become one of the largest (and most luxurious) parkland estates in South Africa. 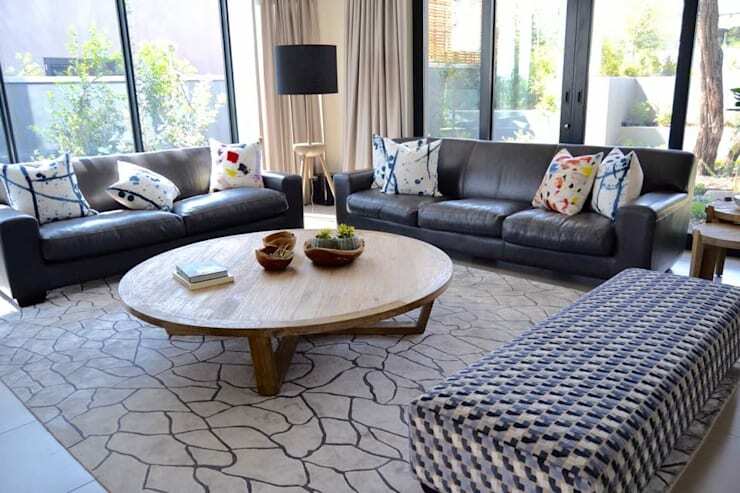 Here is where we will see what interior-design firm Nowadays Interiors from Johannesburg can do when presented with a blank canvas – or rather a clean and empty house in need of some style. As crisp and light as a summer breeze, so is the interior ambience displayed by this open-plan layout which houses the dining area and kitchen – both of them supremely spacious, of course. A stunning selection of materials (wood, tile, polished concrete, glass, etc.) 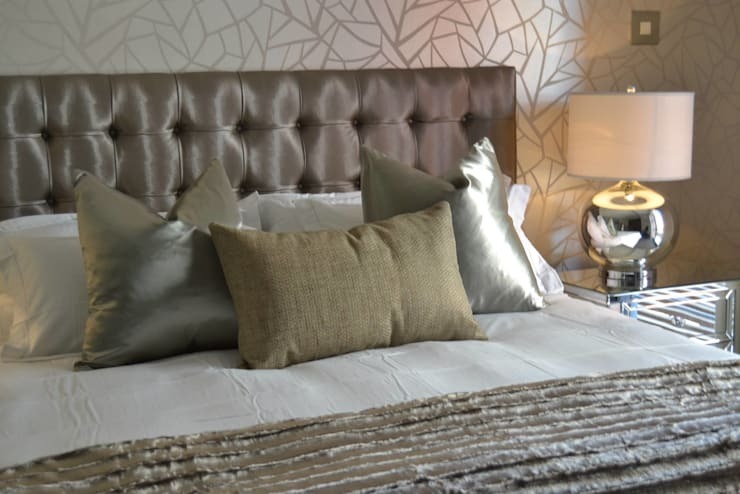 have been relied on to flaunt a smooth and modern look, and paired up with a warm and earthy hued colour palette to ensure that these interiors enjoy a charming and homey vibe. And what is the pop of bright colours we glimpse at the back? That would be the exterior living area, or the terrace, where an equally impressive range of furniture and décor are set to impress. 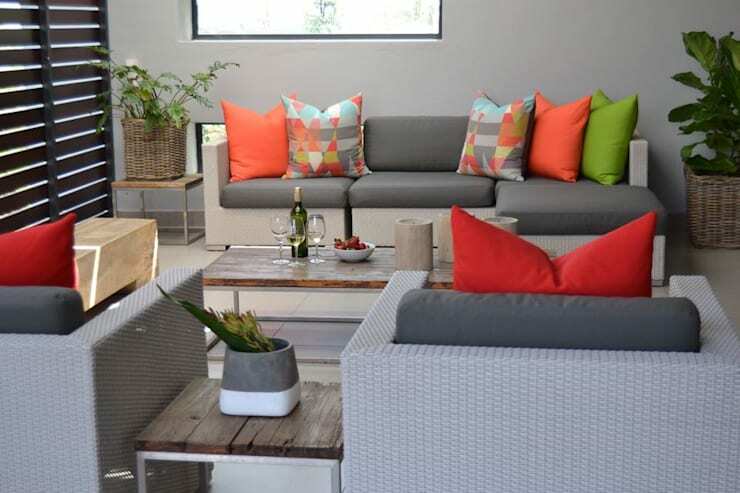 However, it would seem that the interior designers opted for a more “contrasty” look here, seeing as warm hues (oranges and reds) look most striking when compared with cooler tones (fresh greens and crisp blues). But of course interior style is just as important in terms of relaxation, which is why the main living room also sports a luxurious look with the perfect amount of colour and pattern for visual detail. Is there anything better than sitting back in a big and comfy leather sofa? We think not! We just couldn’t overlook the unique design touches scattered all over the house, including this very exceptional floating shelf which seems to be a bunch of wooden sticks stuck together. A very impressive feature, indeed! Of course a house of this magnitude will present more than one bedroom, and this one decided to opt for a rustic-meets-sophistication look, with raw timber trunks doubling up as both décor pieces and side tables, contrasting quite effectively with the much more modern touches of the linen, wallpaper, etc. 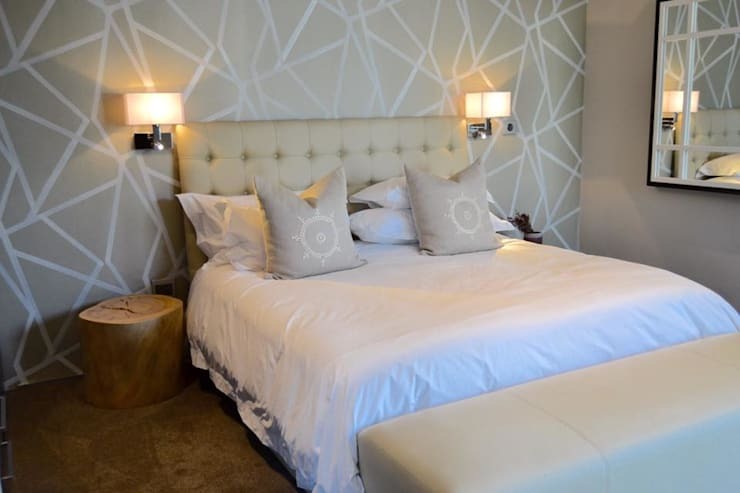 Speaking of wallpaper, another design shows up in the second bedroom, and this space clearly wanted a more sleek appearance. No raw wood can be glimpsed anywhere in here; instead, we are treated to shiny and reflective surfaces to add a bit of glamour and combine stunningly with the sophisticated colour palette. An interior design project completed most successfully, we’d say! 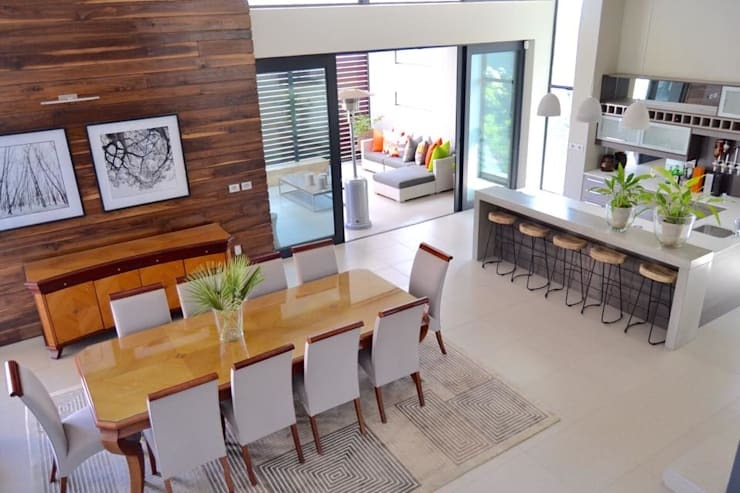 From the eastern metropolis to the western coast, have a look at A creative Cape Town home with something everyone can copy. Love it or loathe it – what do you think of this house?